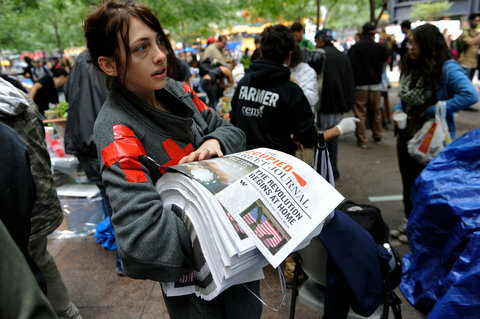 The growing occupation of the New York City financial district has caught the attention of news organizations around the country, but not to the extent, or with the depth and care, that those taking part would like. In response, Gupta and his partner Jed Brandt put together Occupy Wall Street Media to take the message into their own hands. As important as it is to work on catching the eye of mainstream media, any potential movement needs to take action to shape its own narrative. Gupta brings a lot of experience in this, as the general manager of the Indypendent, a free NYC-based progressive newspaper, affiliated with New York Indymedia.